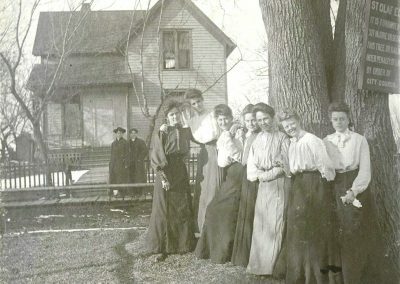 Until its removal in 1921, the St. Olaf Elm stood for decades at the jog where West Third Street and Forest Avenue meet. 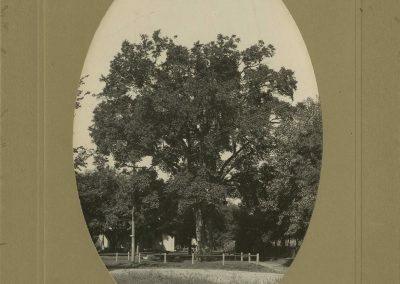 Although long-gone, in its heyday, the elm was considered one of Northfield’s most beloved trees, according to local author Harvey E. Stork. 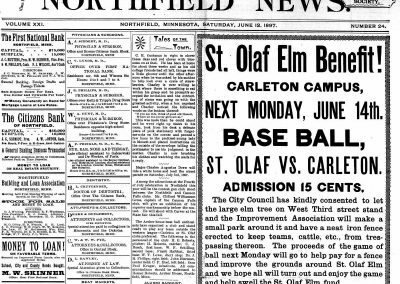 Fossum organized a benefit baseball game on June 14, 1897, between Carleton and St. Olaf to raise money to build an iron fence around the elm “to keep teams, cattle etc., from trespassing thereon.” By that fall, the city council also enacted an ordinance that provided “punishment by fine or imprisonment for any person who shall willfully cut, injure, or deface the said St. Olaf Elm.” The ordinance was spelled out on a large board and nailed to the tree as a public reminder. 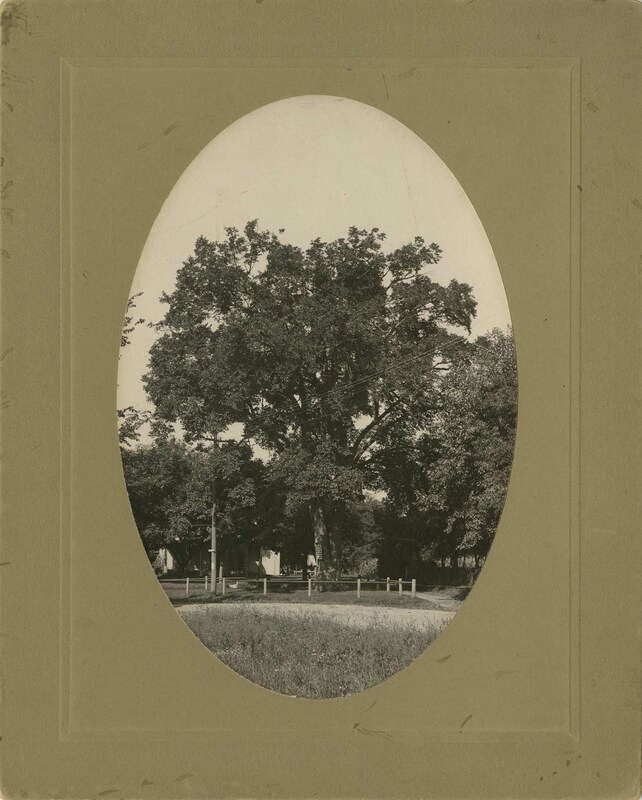 Despite its protections, the tree was not shielded from the elements, and it deteriorated. 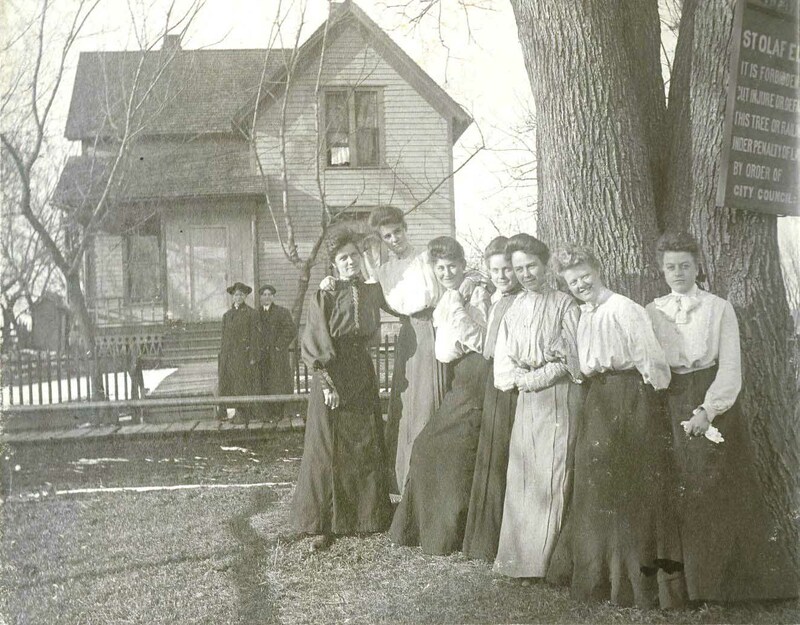 For instance, in March 1900, a lecture was held (featuring a novel early projection system—a “stereopticon”), with all admission fees donated toward repairing the elm. 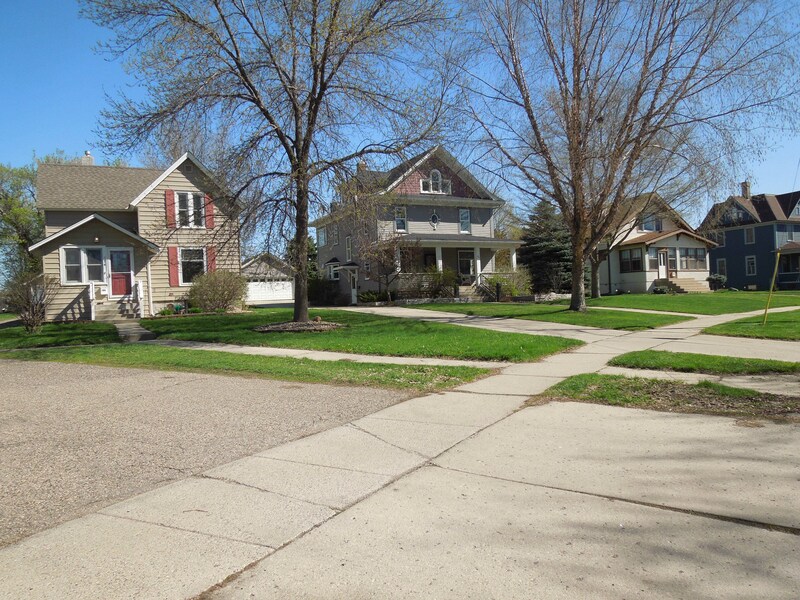 In 1905, two metal rods were installed to provide strength and brace a split between the two largest branches. Unfortunately, it was deemed a safety hazard. 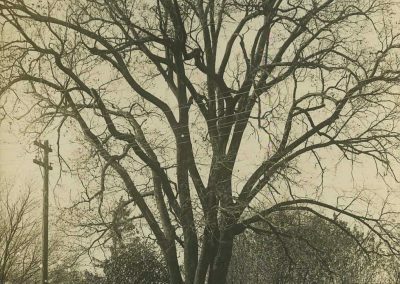 On August 3, 1920, the council ordered it cut down. 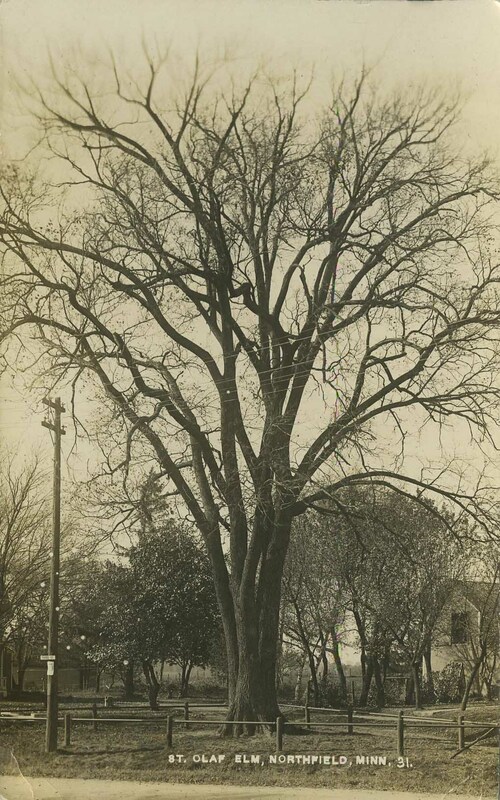 The tree was finally removed in January 1921, after three weeks of cutting due to its immense size. 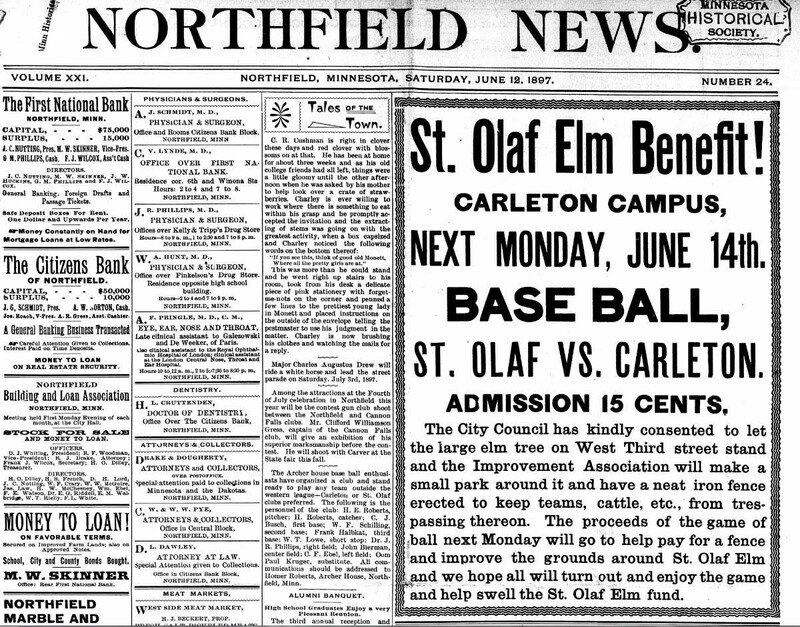 The beloved St. Olaf Elm used to stand at this location.